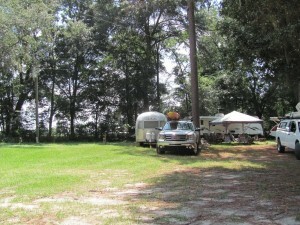 We have beautiful primitive, water/electric, and full hook-up (30 amp) sites. 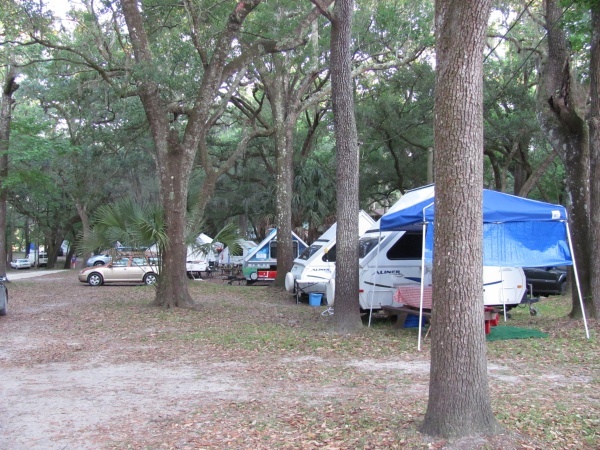 Please look at the RV Resort page for the sites to accommodate larger 50 amp RV’s! Check in is 4 pm for Lodging and 2 pm for RV/tent sites. Check out is 11:00 am. Passport America, military and senior discounts are available for those who qualify but not on holiday weekends. No charge for pets in the campground. Small sites but perfect for the smaller camper under 25 feet. 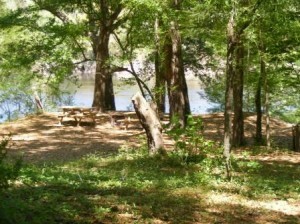 Picnic tables and fire rings at all sites. Cancellations can be made up to 7 days prior to stay. Any cancellations less than 7 days will be charged for 1 day. Cancellations 24 hours or less will be charged for 2 days. All cancellations must be made by phone @ 386-294-2510. Please call the office to apply any discounts for your stay. The reservation system does NOT process discounts. Full hook-up sites, 30 amp, water and sewer. Primitive tent sites on the east point. Quiet time is from 11:00 pm until 9:00 am. Frank says “we don’t have any ATV approved trails here at the Rendezvous.” Sorry. Insured Golf Carts are allowed on all roads at the resort. Licensed drivers only please. 11 pm quiet time includes the use of golf carts. Please provide proof of insurance when you check in. Please keep all fires in the fire pits. Camp fires must be supervised at all times. Pets that are noisy or aggressive must be left home. This is for everyone’s safety and to ensure that everyone enjoys themselves at the Rendezvous. Please watch your children at the river and spring. There is no lifeguard on duty and you swim at your own risk. 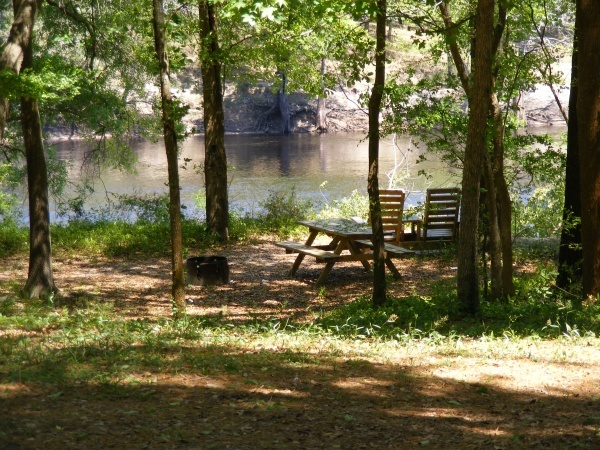 Fishing is allowed on the bank, boat ramp, off the dock and at the spring cut. No fishing in the spring itself. The spring is for swimming only. Lafayette County is Dry. No alcohol over 5.63% is sold here and NO Alcohol is sold on Sunday. You can drink it, you just can’t buy it. We are a family establishment so please use alcohol in moderation. Open bottle at your campsite or rental unit only. NO glass bottles are allowed near water or common areas, including the pool. Thank you for your understanding. All of our rental units are NON-SMOKING. Smoking is permitted on all decks and porches. We charge a $150 cleaning fee if you smoke in the rooms or any cigarette butts or ashes are found in the room. Please dispose of your “butts” in the containers provided. Please leave the furniture in the rooms. The squirrels and raccoons have their own. Fireworks and firearms may not be used here at the Rendezvous. The Rendezvous is in the process of going GREEN. We have recycling containers for aluminum cans, plastic bottles and glass. Please help us save the planet by separating your trash. Thank you. Beautiful Suwannee River Rendezvous Resort and Campground!